Welcome to 2015! Have a Poem! Hello my friends and welcome to 2015! I’d like to wish you a very Happy New Year wherever you are reading this in the world. The end of december is quite full of holidays as yearly periods go, so if you celebrated the Winter/Summer Solstice, Christmas, Pancha Ganapati, Hanukkah, Hogswatch, Sadeh, or just the plain old Yule Festival, I hope you had a lovely holiday period! “Oh friends and foes, beware beware! This fearsome feind will singe your hair! If you don’t look out he might singe you! But we won’t laugh long as Smaug flies free. From his roar and his flame whole cities did run. 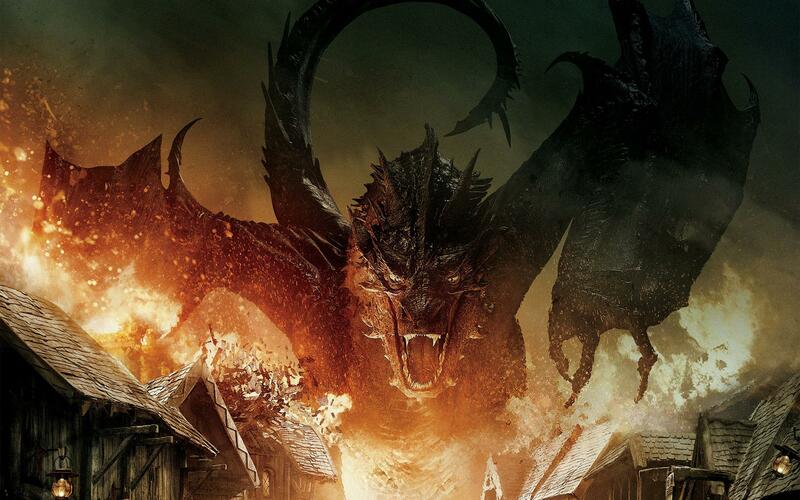 For Smaug now slumbers deep in mountain afar. For the mountain keeps him from stretching his shanks. Imagining their​ share in bright gold and jewelry. Sleep he does? Perhaps he is dead? Just to check, why not cut off his head? Don’t waken the worm, don’t take the chance, do you hear? Drifting in dreams from which we hope he’ll never let. Baran put down the book, it’s cover faded and torn from years of wear. Despite the love given to the old tome, or perhaps because of it, the book was falling apart. The young guardsman of Esgaroth (or Lake Town as people called it) made a note to take it down to the tanner and the scribe and get the leather refurbished, the words traced over with new ink. It might cost a bit, but it was worth it for such an heirloom. He stood up from his son’s bed, straightening the covers over the young boy, sleep dragging his eyelids closed. “Night da.” he whispered before he slipped into unconsciousness. Baran looked out the window above his son’s bed as the moonlight played upon the canals of lake-town, his worry-filled eyes drawn to the mountain above. But sat cold and silent, no blaze, no roar and Baran dropped his eyes to his son’s sleeping figure once more.